This year’s Youth Parliament elections in Northern Ireland has seen 12,831 young people cast their vote for the individual they feel will represent them and campaign on the issues they feel are important. 18 Members of Youth Parliament will now champion the voices of young people engaging with young people in their constituency, shape UK Youth Parliament policy and campaigns and encourage young people to take part in UK Youth Parliament’s UK-wide consultation ‘Make Your Mark’ this summer, which saw 41,488 young people from across Northern Ireland take part last year. 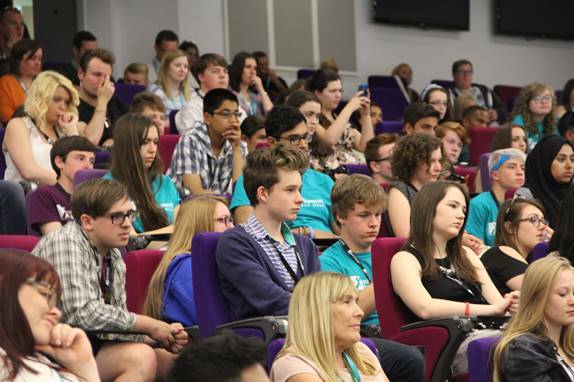 UK Youth Parliament has previously campaigned on issues such as mental health, votes at 16, education and transport. This year’s UK-wide campaign is#DontHateEducate formed to address race and religious discrimination in the UK. The elections, in their third year, were organised by the charity, the British Youth Council, with support of the Northern Ireland Youth Forum. Congratulations to the successful candidates. There will be many other opportunities to get involved in campaign work and Make Your Mark to those unsuccessful this time round. I’ll be sure to email you as things come up. A huge Thank You to all the schools and colleges that took part, and particularly to the teachers who supported and promoted the vote.